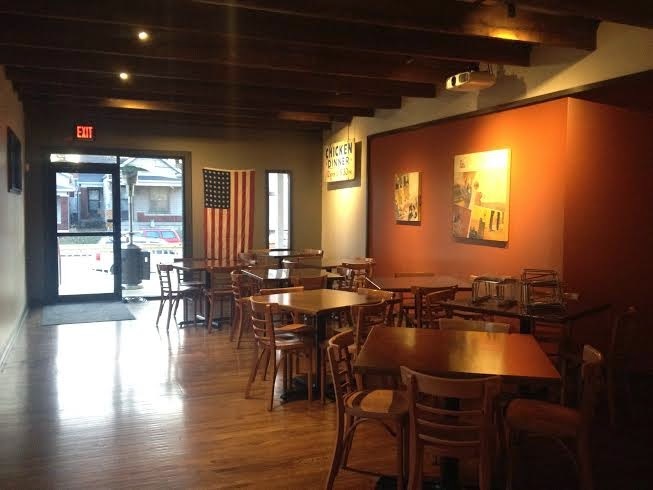 The New Year will bring a new eatery to Germantown, and you have probably noticed a bit of construction at 1045 Goss Avenue as new owners, Laura and Nash Neely, build their pizzeria – The Post. Some people may think Laura and Nash are a little crazy. Nash is leaving a corporate job in finance to jump back into the restaurant industry. Laura is working as an attorney while simultaneously helping her husband run the restaurant. The restaurant, nestled between Yesternook and Hali B. & Co. 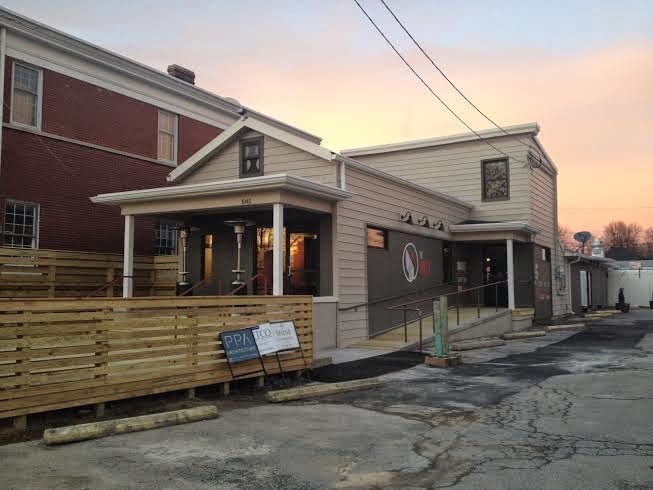 Salon, is an old VFW Post that many would have thought should be razed instead of rebuilt; followed by a lengthy rezoning process and a thoughtful reimagining of the vacant building. 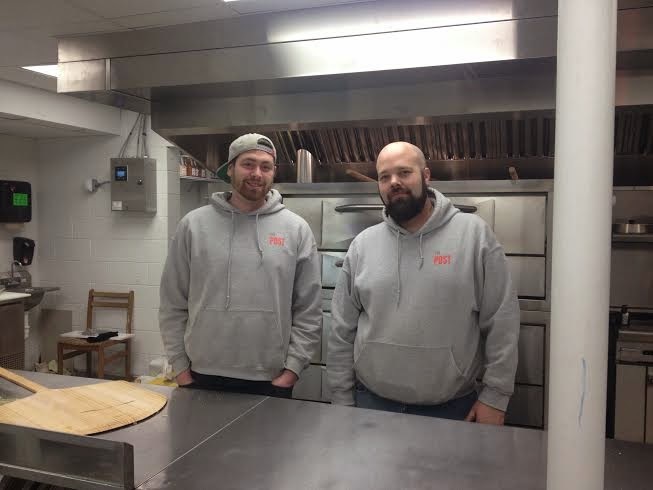 Crazy or not, the Neely’s are ready to serve Germantown a slice of pizza. They believe in their pizza and believe it fills void for hungry Germantowners and Louisvillians. A big, floppy slice of New York style pizza is hard to come by in Louisville. Papalino’s disappeared in 2014, Luigi’s Pizzeria’s hours are only conducive to the Monday through Friday work crowd, and the skuzzy, punk theme of Spinelli’s isn’t for everyone. Germantown pizza options, outside of major-chain-delivery, are limited to two. The Come Back Inn offers “casual, Italian-American dishes” that includes traditional Italian pizzas, yet most diners come for the heaping servings of pasta or chicken breast bake. Their forte is home-cooking, not pizza. Danny Mac’s Pizza is home of the “Schnitzelburg Square,” a name given to his pizzas for their square shape and square slices. Danny Mac makes a delicious pie, perfect for take-out or enjoying during a square dance intermission, but the AmVet’s Post* where Danny Mac’s is located isn’t a likely hangout for those looking for a restaurant experience (you can order drinks at the bar and catch a game on a flat screen TV, but there’s no table service). The Post will offer New York style pizza by the slice or by the pie. Their largest pizza will be 20”, creating an easily foldable slice. Cheese, pepperoni, and a specialty pie that changes daily will be by-the-slice options (ideal for late night customers); while more formal, larger parties can order a whole pie they can customize or choose from their house specials. Chef Brian Cunningham, transplant from The Mellow Mushroom, is working on the menu and perfecting the pies. 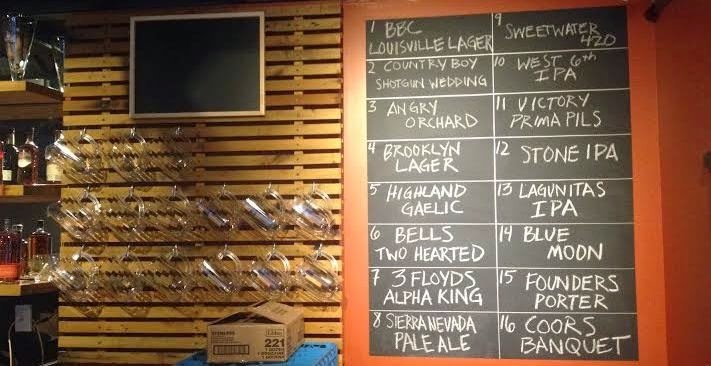 The beer and wine selection will be “simple at first,” according to Nash. It will feature beers, both craft and domestic, from breweries across America. 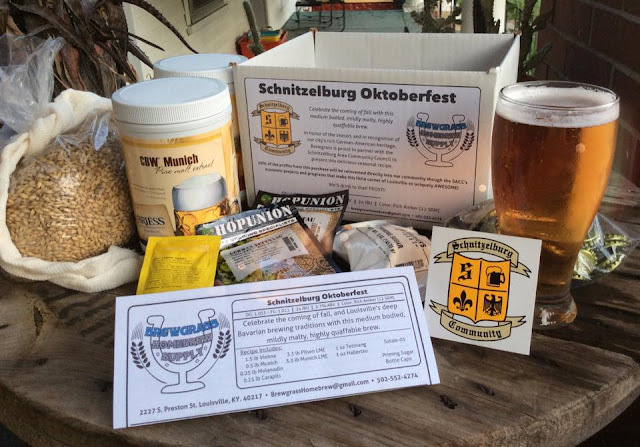 Beer snobs will be satisfied, but the Neely’s stress that there will be plenty of frosty Budweisers and Miller Lites to go around. Acknowledging Germantown’s blue-collar roots, The Post will be a place anybody can walk in and get a slice of pizza and a domestic longneck for a reasonable price. The Post will be open from 4 pm to 2 am, with the possibility of opening for lunch in the future. The Neely’s were quick to shutdown any notion of extending their hours to 4 am in the future. They are, first and foremost, a restaurant. They don’t see Goss Avenue being home to late-night, party bars, akin to Baxter Avenue. 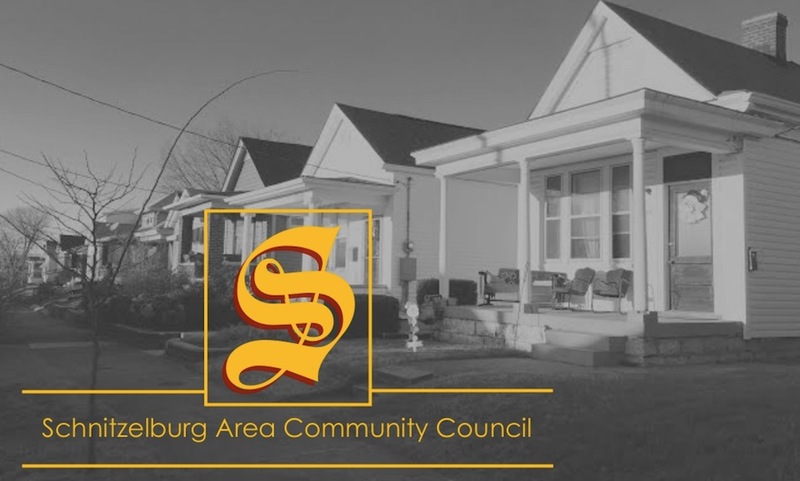 They love the small town, Main Street feel of Goss Avenue and respect the residents that live on the street, especially those who live across from The Post. They really care about The Post and the neighborhood, and that is apparent. We first met Laura and Nash at The Post in September. The young couple biked over from their house in German-Paristown. Despite the daily buzz of construction, we didn’t expect much, judging by the exterior. We were wrong. Shine Contracting and Pickett/Passafiume Architects are largely to thank for the transformation of the VFW Post into The Post. 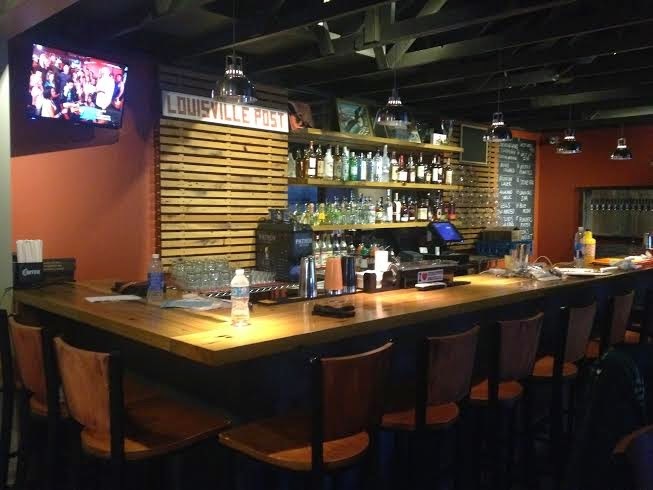 Shine Contracting’s impressive portfolio includes an old firehouse that has become the ultra-trendy, Bakersfield-themed Silver Dollar in Clifton, and the NuLu eatery, Decca, that includes a fabulous rathskeller and outdoor area. The contractor and architect team didn’t just want to renovate; they wanted to rethink the VFW Post to have strong, functional bones and seem larger and more open. The entire building has been gutted, leaving only the original hardwood floors. All new electrical, plumbing, and HVAC systems have been installed. The kitchen in the rear of the building boasts new concrete floors, a new walk-in cooler, and new appliances. The floor plan changed and a new bar replaces the old one. The camelback floor that creates a literal hump in the middle of the building was gutted and split. Half of the upper level houses a mechanical room, while the other half was removed to make a high, vaulted ceiling for the first floor. New windows, including a large floor to ceiling window the size of a garage door across from the bar, helps this long, narrow shotgun style structure feel monumentally larger. The capacity for inside the restaurant can hold 160 people and a combined 200 when the front patio is open. Even though there is a lot of new in The Post, there remains some old. The Neely’s kept most of what was left behind and are using some of it as décor for the restaurant. The flag has been hung on the wall. 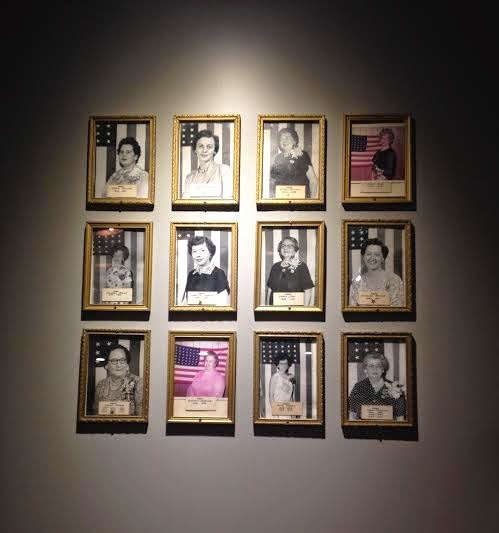 Pictures of the VFW’s Ladies Auxiliary (those ladies with big hair) have been framed and hung. 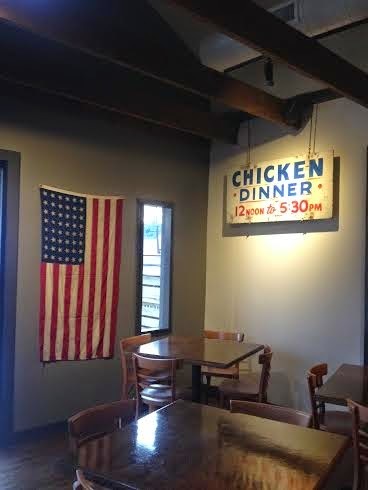 Hand painted signs advertising chicken dinners and picnics at the VFW Post are now vintage wall décor. Our last visit to The Post, Nash was beaming with pride to show off a new art piece: a game board they recently stumbled upon in an antique shop. 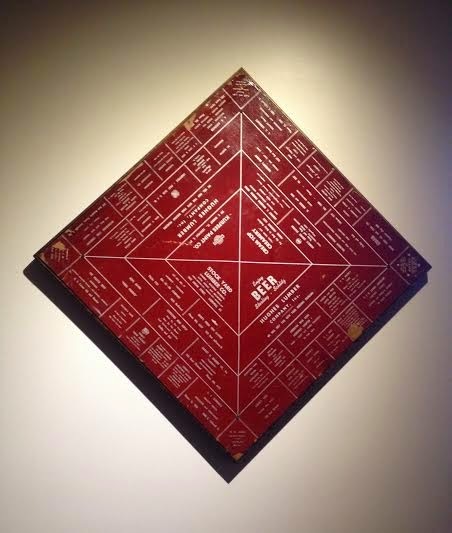 It’s not just any game board: the monopoly-esque board boasts squares of bygone and present area businesses such as Parson’s Service Station, Leverone’s Beer Depot, and Check’s Café. But what is more incredible is who the board serendipitously used to belong to: the VFW Post 5636, the exact post that now houses the pizzeria. 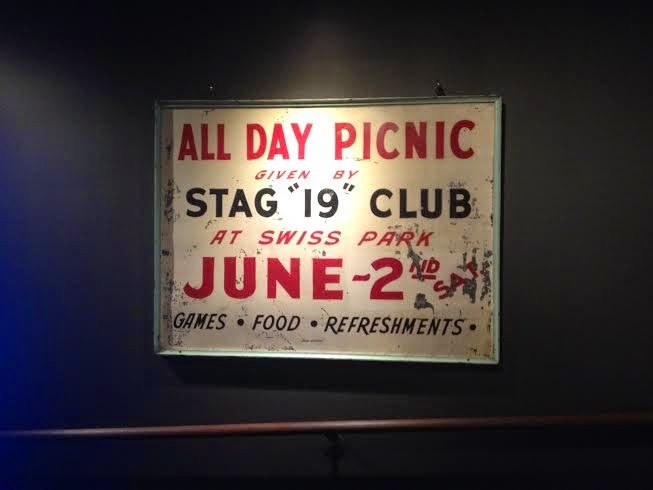 The name and décor are nods to the building’s history, but 1045 wasn’t always a VFW Post; it spent most its life as a residential property. Originally 1045 Goss was built between 1885 and 1886, although when the house was first built, it was numbered 1041 Goss Avenue. The first owner of the property was John L. Rudloff who operated Rudloff, Settle & Company, a chair factory on Vine Street between Clay and Hancock, with his business partner, William Settle. Following John’s death in 1894, his widow, Catherine, resided at the location with her daughter until 1907. From 1907 to 1910, the property was occupied by a carpenter, Dennis L. Thompson. In 1908, the property was renumbered to 1041A and the property next door (where the current business, Hali B.’s is located today) was numbered 1041B. In 1909, the Post property was renumbered by the U.S. Postal Service and has been known as 1045 Goss since then. 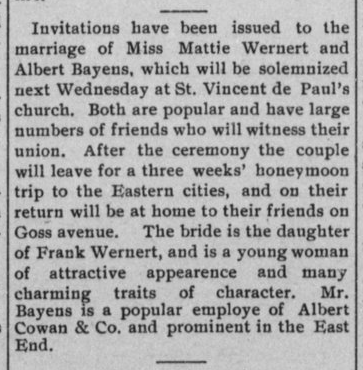 From 1910 to 1920, Albert L. Bayens and his family resided in the home. Albert was a packer for Belknap Hardware. William P. Osterreader, a machinist at a planting mill, resided at the property in 1921. John P. Schoenlaub, a funeral director, lived on the location from 1922 to 1923. William F. Bahr, a chef, and his wife, Julia, lived at 1045 Goss from 1924 to 1936. Odie Michael, a weaver at the Louisville Textile Mill, resided at the location from 1937 to 1945. John Cornell, a dispatcher for LG&E, and his wife Mary, lived there from 1945 to 1949. Charles W. Wise, a mechanic, and his wife Eunice, lived at the property from 1949 to the mid-50’s. The VFW Post Number 5636 acquired its first interest in the property in October, 1956 and thus operated into the new millennium. The Post is just part ofthe change that has taken place recently on Goss Avenue. Mo’s Food Mart updated their look and added a hot plate lunch. Yesternook continues to grow and now boasts new owners, Lynn Gould and Autumn Rhodes. Four Pegs is under new management and will soon roll out a brunch offering. Three Points Beautification Project has added a mural to the Abell Elevator building and transformed the intersection of Goss Avenue and Logan Street. Miss Kay’s has moved out of the corner of Goss and Texas and a new occupant will soon take over the space (more on that soon). Underhill Associates have moved into the old PVA building on Goss and removed the chain link, barbed-wire fence in the front of the property. And, most notably, Underhill Associates are converting the old cotton mill into 184 loft style apartments, called Germantown Mill Lofts (the loft project actually caught the attention of the bank and solidified The Post’s loan). 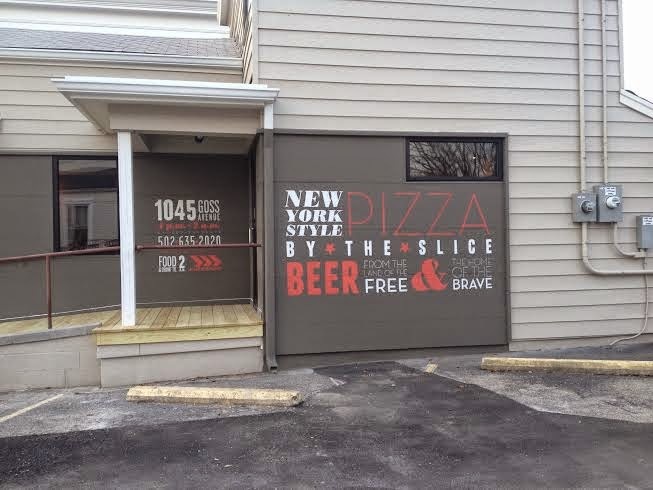 The Germantown Times recently ran a headline: “Germantown Resident Expresses Concern that New Pizza Place on Goss May Inspire Other Good Ideas.” Despite our laugh at their satirical article, we genuinely hope no one sees this positive progress as a concern. And while The Post can’t take credit for changes already underway on Goss Avenue, their presence will most likely encourage positive change for Goss in the future. For now, you can sit at The Post, enjoy a slice of pizza, and watch it all unfold. The Post plans on having a soft opening soon and being fully operational by the end of the month. Stay tuned to The Post's Facebook for more information.